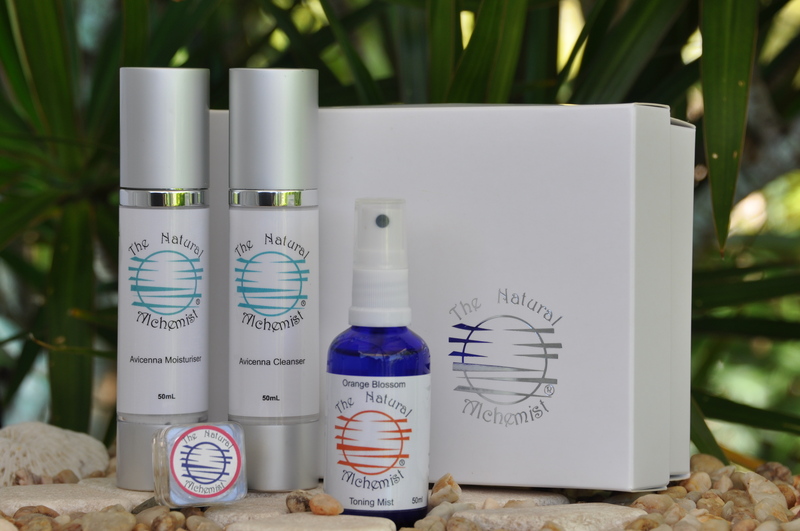 The Natural Alchemist's® offers you a range of natural skin, body and haircare products as well as superb Essential Oils. Our Orange Toning Mist with its anti-inflammatory action will cool, calm & sooth irritation & stressed skin, mist on then apply moisturiser. This beautiful, delicate moisturiser is lightly perfumed and glides onto your skin like oriental silk, a natural tonic for your skin, firming & balancing all skin types. Teamed with Tangy lip Balm to keep your lips soft and supple. Use our delicately perfumed cleanser to remove makeup and deeply clean your face. Containing only natural ingredients it will also nourish your skin giving you beautiful silky smooth clean skin. Ingredients: Moisturiser - Aqua(purified water), organic prunus amygdalus dulcis (sweet almond oil), organic coconut, coco-caprylate caprate (natural ester & coconut), glycerin (vegetable derived), xanthan gum, cetearyl alcohol, cetearyl olivate (olive oil derived), dermorganics 1388 ( glycerin,aqua, sodium levulinate, sodium anisate), tocopherol (vitamin e) and essential oils - Rose, chamomile, sandalwood, ylang ylang. Avicenna cleanser - Aqua(purified water), organic prunus amygdalus dulcis (sweet almond oil), organic coconut, coco-caprylate caprate (natural ester & coconut), glycerin (vegetable derived), xanthan gum, dermorganics 1388 ( glycerin,aqua, sodium levulinate, sodium anisate), tocopherol (vitamin e), castile soap and essential oils - Palmarosa, rosewood, organic lemongrass. Lip Balm-Organic sweet almond oil, calendula, apricot oil, shea butter, beeswax, vitamin E, honey, mandarin, organic lemon, aniseed. These beautiful products are elegantly packaged in a matt white box with TNA silver logo, conveniently ready for all gift occasions. Only registered user can post a new review. Copyright 2019 © The Natural Alchemist. All Rights Reserved.